I love weddings where it is just painfully obvious how much love the bride and groom have for one another. Renee and Brandon’s wedding took place in the very small town of Yanceyville, NC at the couple’s church and later at Caswell Pines golf club. Throughout the day and prior to the wedding, Ashley and I had the great honor of sharing their journey and getting to know them better. 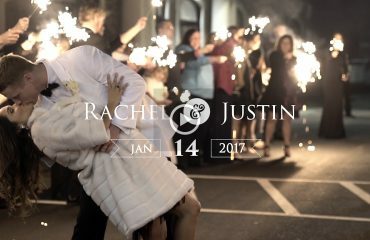 The result was a wedding film that showcases their individual personalities and the genuine love they share. We greatly enjoyed working with them, as well as their excellent vendors. Notably, CSaul Photography who not only captured incredible images but kept everyone loose and entertained. Additionally, we loved DJ Dexx who was incredibly organized, kept the guests dancing, and went out of his way to ensure that the photographers and videographers alike got what they needed. All around a wonderful vendor team! For music, we had award winning composer Irish Paul Ceccheti back again to compose a country inspired track. We’re asked sometimes how we choose/compose music, and the answer is simple: we look at the bride+groom’s taste in music and we go from there :). Paul brought in an additional fiddler player for this film who performed this custom written piece live in studio to add a powerful strings section to the film’s score.